As the industry and consumers watch the Home Capital story unfold, with further declines in HISA deposits and volatility in its share price; another Canadian alternative lender has acted to maintain confidence. 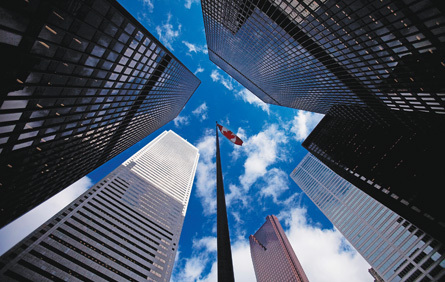 Equitable Group announced its latest financial results Monday and has gained the backing of three of Canada’s big banks to ensure its ongoing strength. “We are confident in the fundamentals of our business and our funding model, but owing to these recent events we have taken steps to reinforce our liquidity position,” Equitable’s statement read. Those steps include securing $2 billion of ‘backstop funding’ for the next two years from a syndicate of banks including Toronto Dominion, CIBC and National Bank. While Equitable has seen a decline in deposits since the Home Capital news broke, it says that even after net outflows it still has around $1 billion in liquid assets. The group’s mortgage book grew in the first quarter of 2017 by 23 per cent with $21.7 billion under management compared to $17.7 billion a year earlier. Mortgage originations grew 4 per cent year-over-year to $1.6 billion. At March 31, 2017, net impaired mortgage assets were just 0.21 per cent of total mortgage assets compared to 0.22 per cent a year ago. "2017 opened in record fashion as Equitable continued to successfully assert itself as Canada's challenger bank," said Andrew Moor, President and Chief Executive Officer.